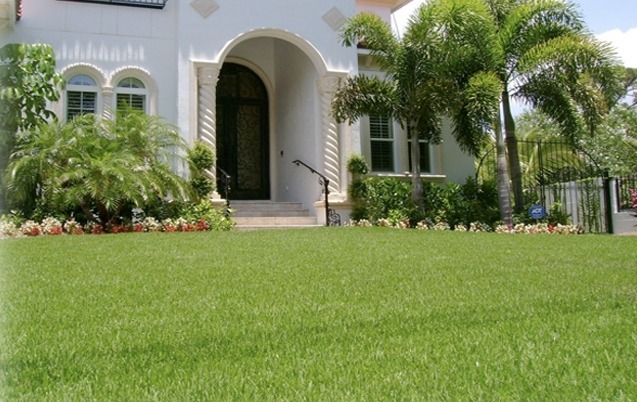 JaMur has established itself as a home lawn favorite and has earned its reputation as a low maintenance, but beautiful turfgrass choice. JaMur® is a great choice for high-wear and high visibility areas for many reasons. This zoysiagrass has characteristics that help both sod producers and homeowners maintain a stunning turf stand with much less effort than many other varieties or cultivars require. Jamur® is extremely drought tolerant, has good shade and cold tolerance, rapid recover and grow-in, minimal thatch production with a dense turf canopy, and must be produced as Certified. Jamur®’s suggested mowing height is ½ to 2 inches, and once it is established, water requirements are only as needed to sustain healthy plant and root growth. If you’re looking for a gorgeous lawn with low maintenance and high recovery characteristics, look no further than JaMur®!